The Waldorf Review: Is Anthroposophy taught in Waldorf schools? Of course it is! Is Anthroposophy taught in Waldorf schools? Of course it is! “You need to make the children aware that they are receiving the objective truth, and if this occasionally appears anthroposophical, it is not anthroposophy that is at fault. Things are that way because anthroposophy has something to say about objective truth. It is the material that causes what is said to be anthroposophical. We certainly may not go to the other extreme, where people say that anthroposophy may not be brought into the school. 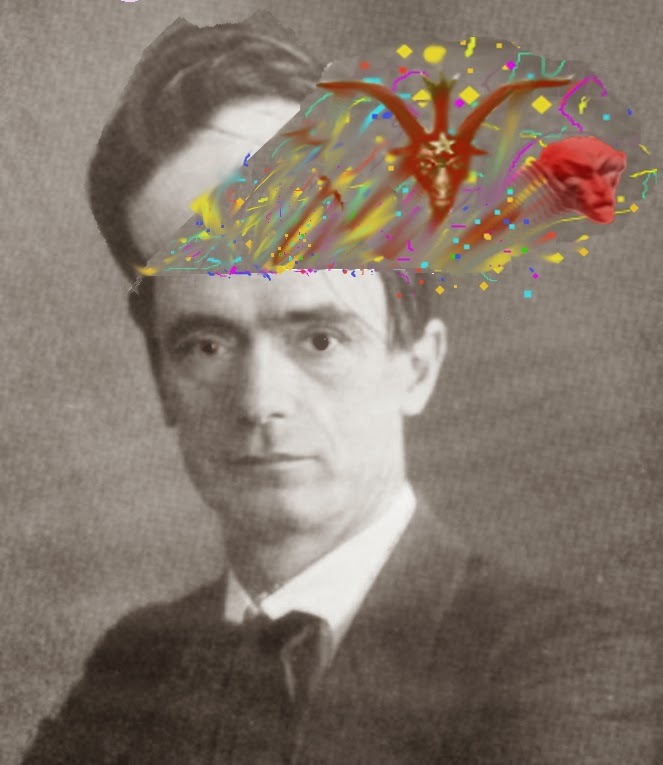 Anthroposophy will be in the school when it is objectively justified, that is, when it is called for by the material itself.” Rudolf Steiner, FACULTY MEETINGS WITH RUDOLF STEINER (Anthroposophic Press, 1998), p. 495. Faculty meetings is required reading for Waldorf teacher trainees. So, every Waldorf teacher is taught that when Anthroposophy and "the objective truth" overlap, then naturally, Anthroposophy MUST be taught. According to Steiner, not to teach Anthroposophy, when it is called for, would be "extreme". Steiner was invested in promoting Anthroposophy. Let's face it - he didn't pump out a lecture a day for the fun of it. We now can no longer expect to act upon the children purely through fairy tales, or through all kinds of teaching stories in which we animate the outer physical world. So let’s start with the observation that the child distinguishes itself from the outer world as an “I”. But something else plays an essential role, which is connected deeply with moral development. The following happens: at the beginning of the stage during which children completely trust authority, they accept this authoritative individual just as he or she is. Between the ninth and the tenth year, something happens—it doesn’t have to be conscious, it may happen deep in the realm of feeling, we might say in the subconscious realm, but it is unquestionably there—children find themselves, so to say, forced by their development to look through the authoritative person to what it is that that person represents. The authoritative person says: this is true, this is good, this is beautiful. And now, the child would like to sense where the source in the authoritative person lies, which gives that person knowledge of the good, the true, the beautiful; and where the will resides for the true, the good, and the beautiful. Let's not fool ourselves, Steiner is talking about Waldorf teachers when he says "authoritative individual" and about Anthroposophy when he says "what it is that that person represents". He is saying Waldorf teachers were accepted by the children during a time of complete trust as authority figures... and at some point that may be subconscious to the child (but Waldorf teachers should be on the look-out for it) the child will be interested in the source of their teacher's authority which has, throughout the child's development, instructed the child about what is good, true and beautiful. That "source" of "authority" is Steiner/Anthroposophy. This is why the teacher/student connection is SO important to Waldorf. The moment of interest for Waldorf teachers (the harvest, so to speak) happens when the children are ripe to be exploited by their trusted authority figures to look to the source of their authority - Anthroposophy. To know that, to count on the fact that just as one lovingly nurtures the seed in order for it to become a plant, so in the same way something — a physical seed—that at one time was being prepared in the child now stands before us, demanding to be nurtured psychologically; knowing this gives one a special relationship to the child. And, in this way, one plants the seed of religion into the child. And in this way, one plants the seed of Anthroposophy into the child, he meant.